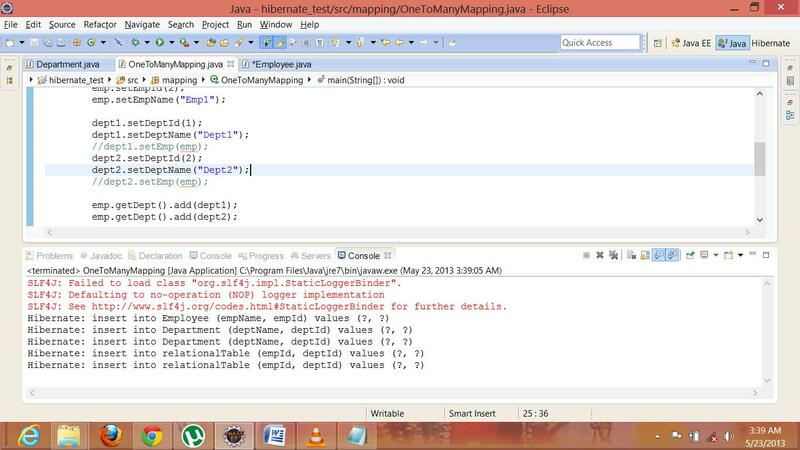 In this article I’ll describe, how to create OneToMany or ManyToOne (Bi-Directional) mapping in hibernate. We will also see the details about this type of mapping. How to create One to Many and Many to One mapping between two database tables using hibernate? In this type of mapping, single data of one table relates with multiple data of second table or vice-versa. 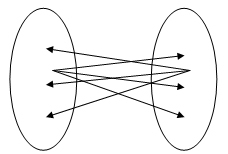 Once OneToMany and ManyToOne relationship is defined between two tables, is called bi-directional mapping. One to Many Mapping: A single attribute of a table relating with multiple attributes of another table is referred as One to Many mapping. Ex. : A department may have multiple employees. 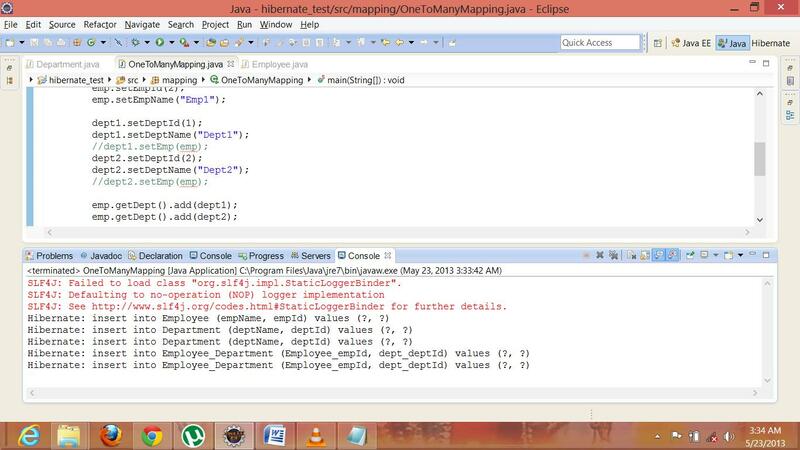 Now create getter and setter methods for class member variable. We can place this annotation before the getter method of this variable. Now Once OneToMany configuration is done in the entity class, create the OneToManyMapping class that create session for these two entity class and insert a row into these tables in the database after creating OneToMany relationship between these tables. Now, Save these three objects into the session objects and commit the transaction. This time, hibernate creates a new table showing the relationship between two tables named Employee and Department. This new table has two attributes according to Employee and Department id column. The inverseJoinColumn is representing the other column attribute of the table. 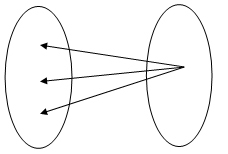 Many to One Mapping: Whereas multiple attributes of a table having relationship with a single attribute of another table is referred as Many to One mapping. Ex. : Multiple departments may related with a single employee. ManyToOne Mapping, use annotation @ManyToOne before Employee object declaration or its getter method, in Department table. This kind of relationship will defines multiple department access to a single employee. Now we are using both of the mappings onto these two tables (Employee and Department), that will represent the bi – directional mapping. Declare Employee object into the Department class and define annotation @ManyToOne to declare Many To One relationship for Employee with Department table. This annotation is defined in javax.persistance.ManyToOne class. Now declare getter and setter methods for this class type variable. 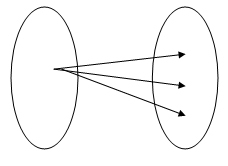 Figure 6: emp_empId is added with department table using many to one relationship. 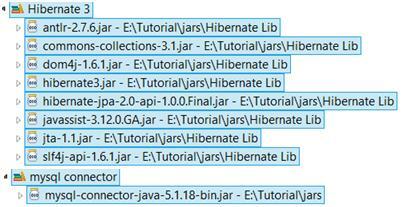 How to define One to Many Mapping using hibernate. 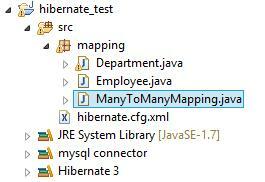 How to define Many to One Mapping using hibernate. How to create bi-directional mapping in hibernate.